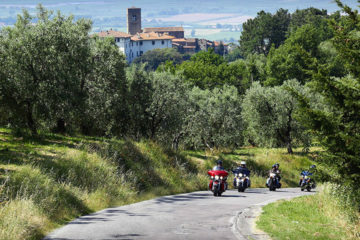 Chianti and Val D’Orcia Motorbike Tour. 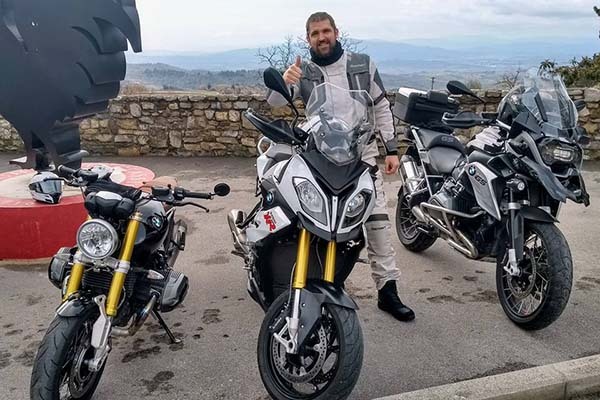 This 2 days motorcycle adventure tour in Italy will allow you to discover some of the best towns of Tuscany and enjoy the wonderful landscapes of the Chianti and the Val D’Orcia (the South of Siena). 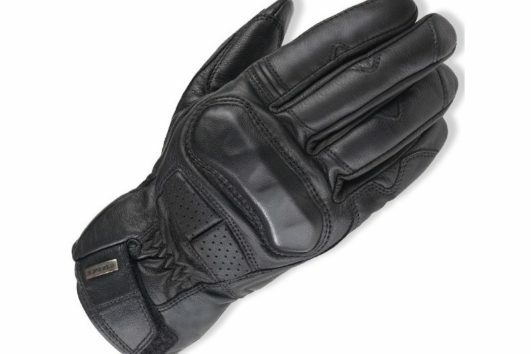 During these two days we will ride our motorbikes over more than 300 kms (no highways) for a total of near 8 hours ride. 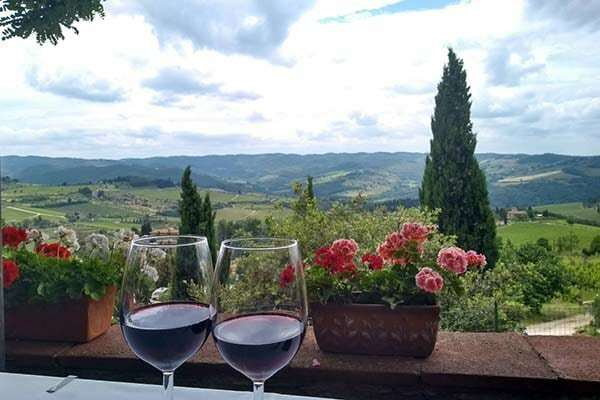 We will visit many towns such as: Monteriggioni, Siena, Montalcino, Pienza, Castelnuovo Berardenga, Radda in Chianti and Greve in Chianti. 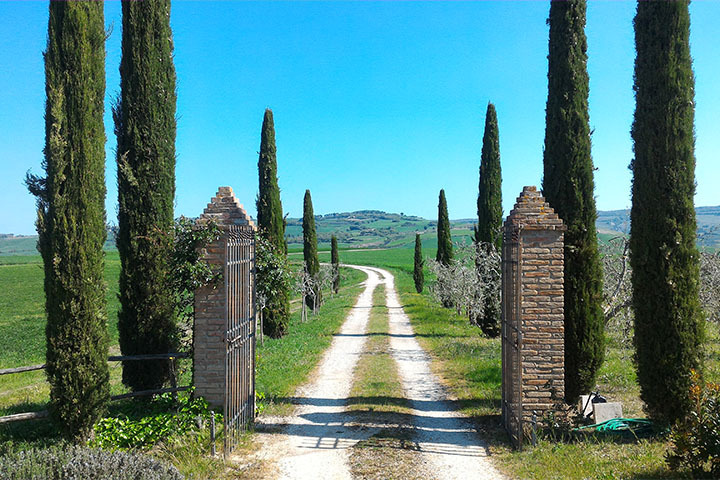 We will also visit a famous Abbey (tickets are not included) and spend a night in the heart of the beautiful Val D’Orcia. 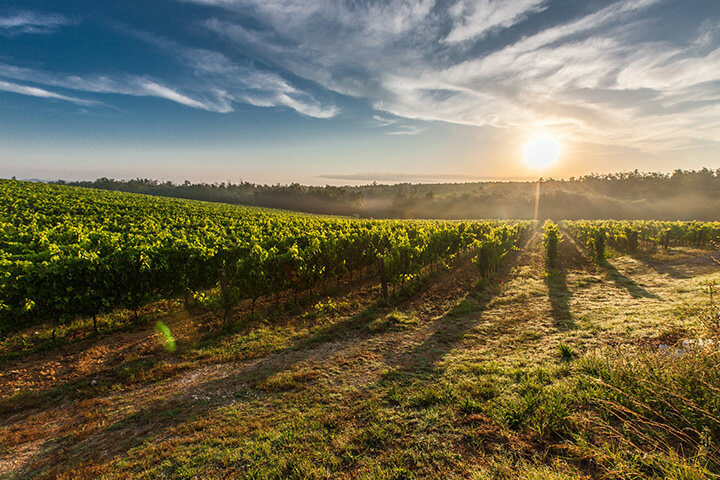 A great experience which we consider a MUST of you wish to see the landscapes and towns that have made Tuscany world famous. 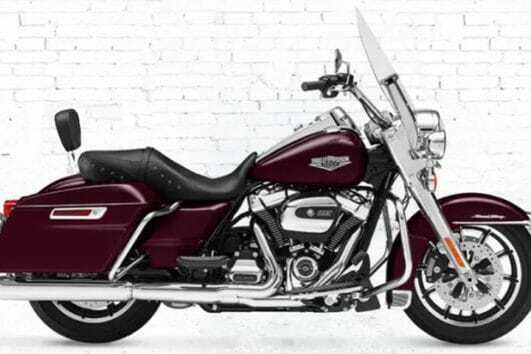 Please note that if your preferred motorcycle is not available for your dates, you can choose an available alternative from the same Type. If you change Type we will change the price accordingly. 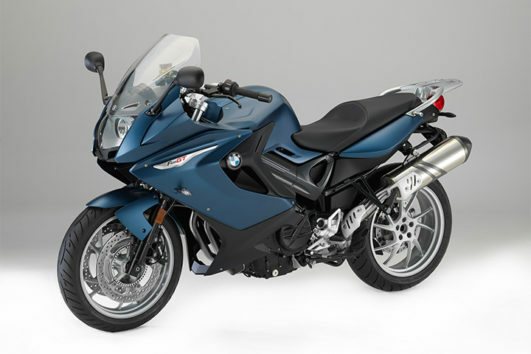 Please, visit our Rental Service page to see the accessories you can rent from us. 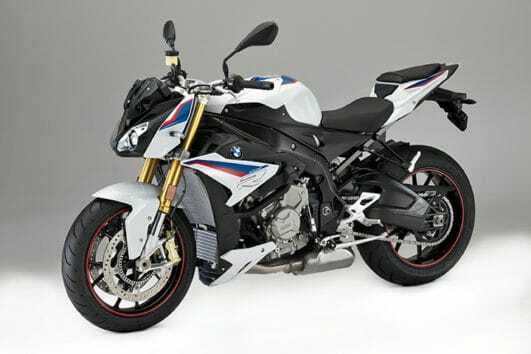 Wish to ride alone with your riding buddies? 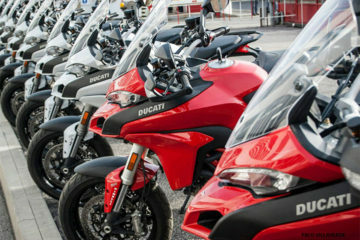 Private Motorcycle Tours in Italy are a great way to enjoy the adventure. Contact us with your preferred dates and group details. 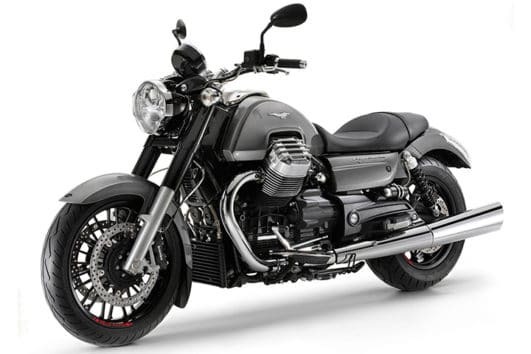 We will check the availability for your tour dates and will come back to you with a price quote for your special request. Please note that even if the minimum number of participants won’t be reached by your group, you might still be able to do the tour but with different prices than the standard. 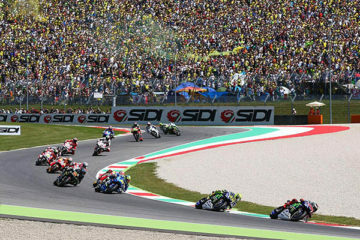 Check this video with the route of this tour! We’re on Spanish National TV! 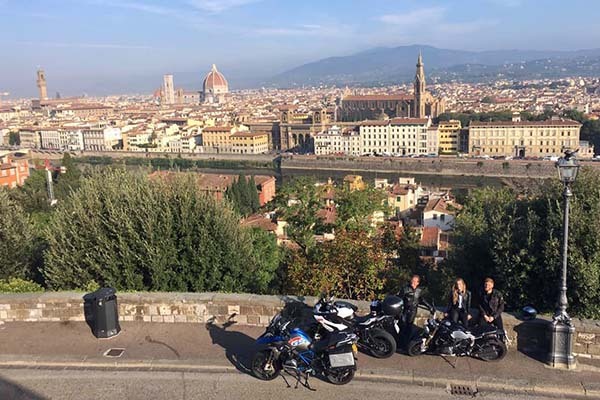 Meeting at 9:00 in Florence and departure at 9:30. 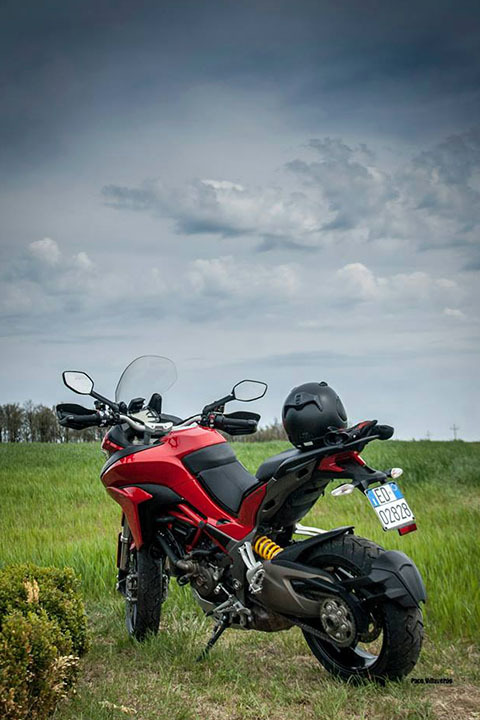 We will ride through the Cassia road to the heart of the Chianti: Castellina in Chianti for a coffee. 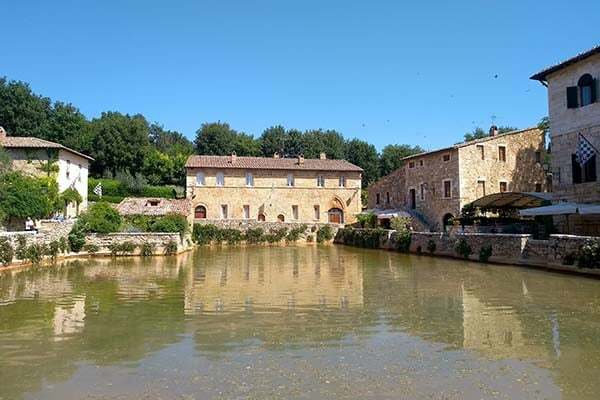 From Castellina we will go south to the medieval town of Monteriggioni. 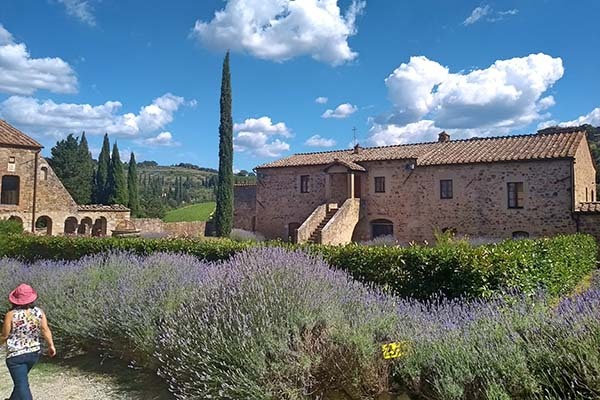 After a quick visit to Monteriggioni, we will continue our journey to Siena where we will have time to make a walk and have lunch. Time to visit this wonderful town famous for it’s wine. 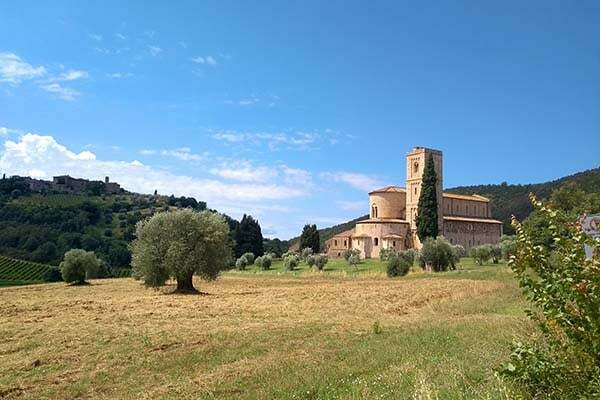 Only a few more kms to reach the Abbey of Sant’Antimo, a former Benedictine monastery almost 1.000 years old! We will spend the night and have dinner in a nice quiet place in the countryside. Meeting after breakfast towards Pienza. We will enjoy this little medieval city, it’s narrow streets and the fantastic view over the country. We will start to go North and will stop for lunch. 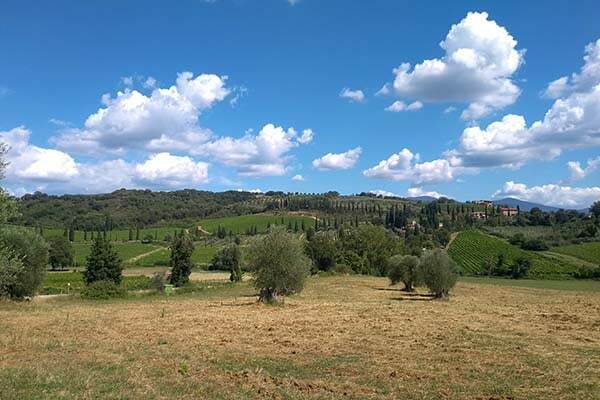 Keep riding across the Chiantishire to Radda for a walk, coffee or gelato. 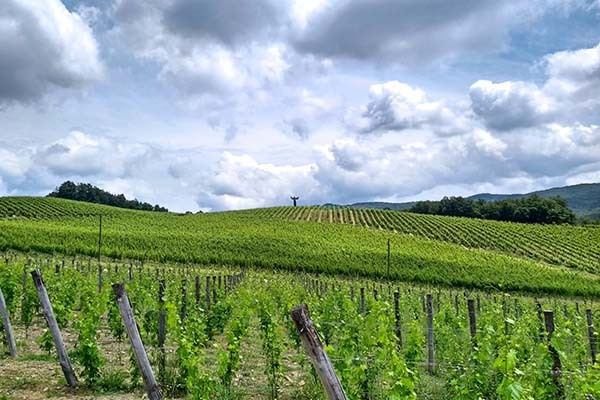 Our last stop on this tour: we will see the main town of the Chianti: Greve in Chianti. 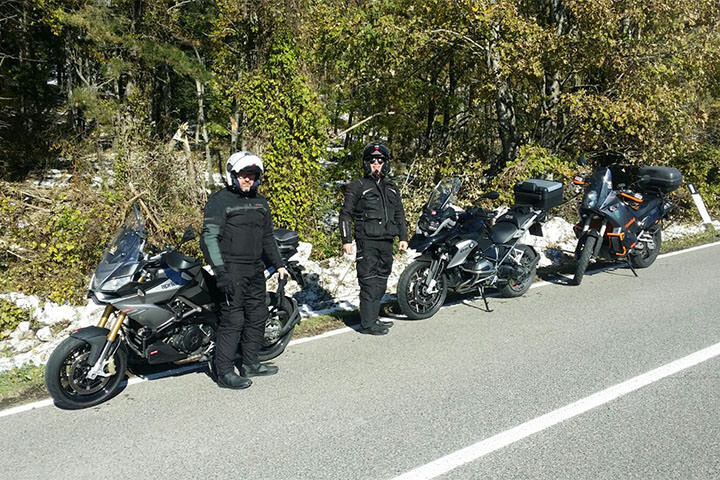 We will get back to the start point from the Chiantigiana road and give back the motorcycles. 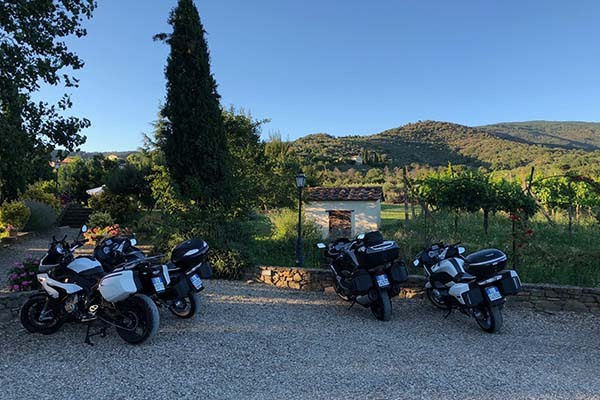 My experience with Tuscany Motorcycle Tours was excellent from start to finish. Before I made a reservation they answered all of my questions quickly, and were super helpful. The service here is way beyond what I expected, I really hope that I can return one day I join them on another tour. 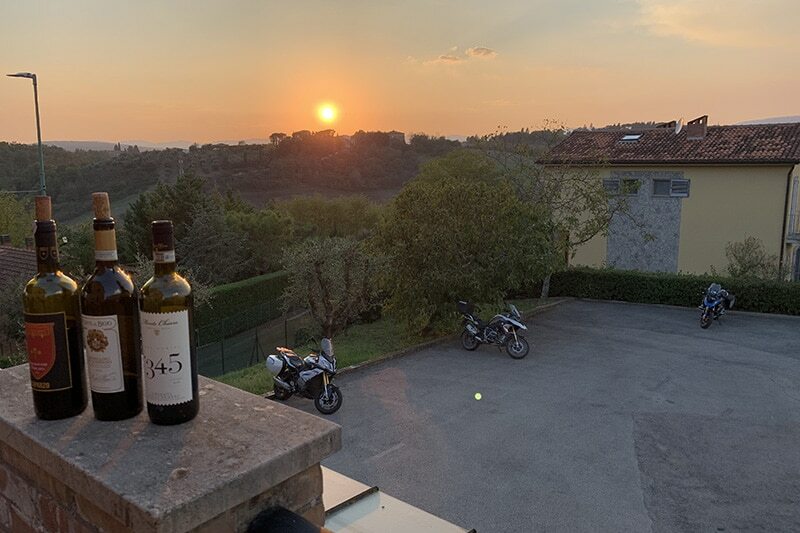 If you are considering renting a motorcycle or taking a tour of Tuscany, I can’t recommend this place enough. Thanks again Gareth and Sarah! 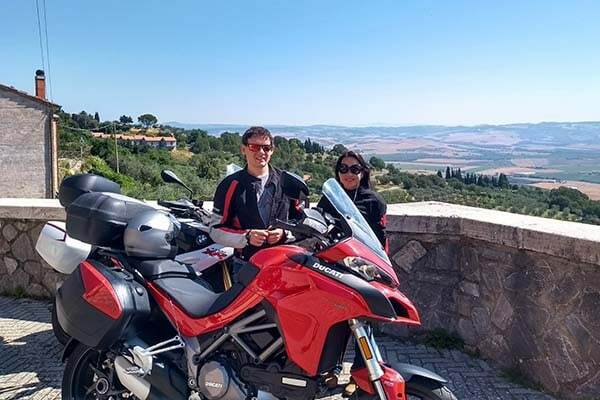 Every year, my wife and I, make a motorcycle trip usually in Europe. 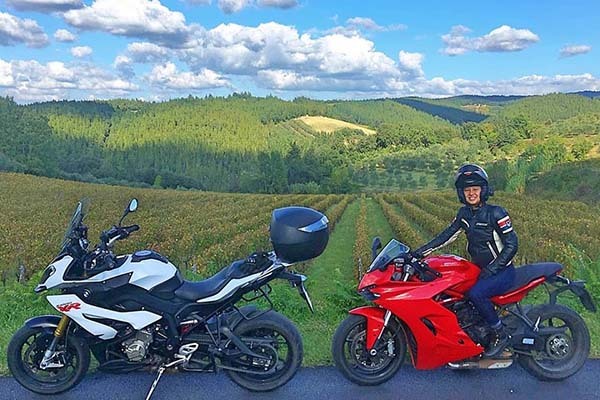 This year we decided to visit the North of Italy but do to bad weather in the Alps, we decided to move South towards Tuscany and contacted Tuscany Motorcycle Tours to get a quick, smart and easy proposal. 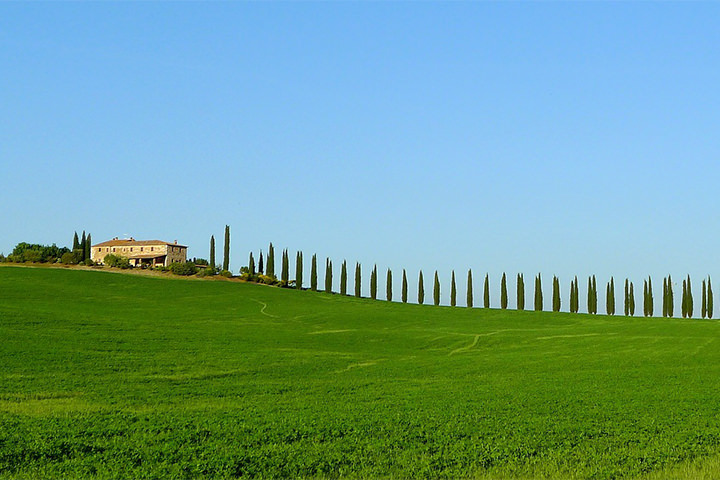 They offered us this Chianti and Vald Orcia tour that was just PERFECT for our needs. Not too long, not too short, beautiful towns, amazing landscapes, great staff, affordable and reasonable prices… We are just so happy to have found them! 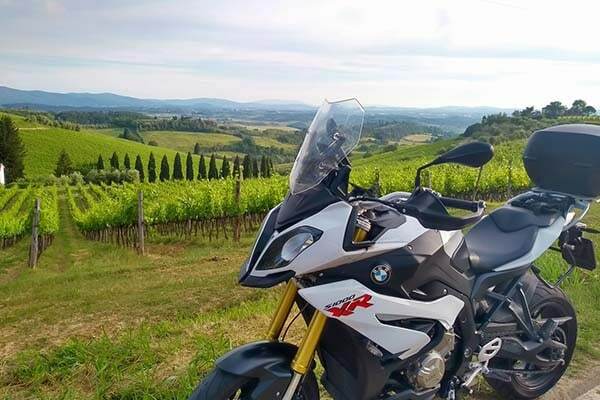 Will come back another year to try the one week tour of Tuscany!